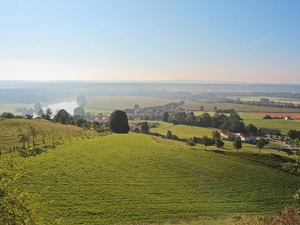 Experience Upper Bavaria at its best! You want to spend a relaxing weekend in the beautiful Inn Salzach area and enjoy unspoiled nature? 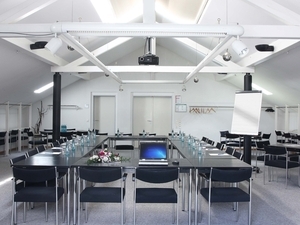 You want to hold a meeting and look for a perfect venue for your seminar or business event? Our Hotel Don Bosco*** is set in a quiet country area with Bavarian traditions and natural beauty, and offers a multitude of historic and cultural attractions as well as the possibility to go sporty! It`s great to meet you! In 2006 we decided to enlarge our range of training courses and professions for disadvantaged young people and built the Don Bosco Hotel. In 2009 we achieved the 3 star hotel rating from the Bavarian Hospitality Industry Alliance. And on top our offer has been well accepted here in the region, by commerce and local residents. The Hotel Don Bosco is a special hotel, as it offers young people with physical and/or mental handicaps a professional training. 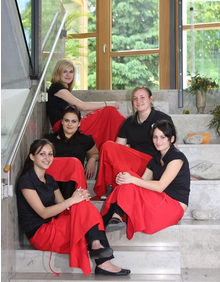 Our staff here offer you both a warm welcome with lots of charm as well as professional and competent hotel services. After 5 years of successful operations, our training hotel Don Bosco has developed into a popular Meeting- and Conference hotel. It is a top-class destination for business people, short term travellers, families and cyclists. You will really feel at home with us…. 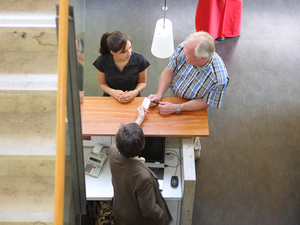 ou are looking for expert services, modern technical assistance in a creative environment? Here in our “Forest Corner” we have all you need. A varied area in a marvellous landscape is looking forward to being explored. Our area in the East of Bavaria is characterized by an impressing history und offers real treasures for art lovers and a rich cultural life. You have any questions about the Hotel Don Bosco? Please, contact us by email or telephone. Send us an inquiry using our contact form. We will get back to you as soon as possible. Use our online reser- vation tool in order to reserve your room. Or call us at Tel. +49-8638-64 6001. We are pleased to help you with the organization of your stay. 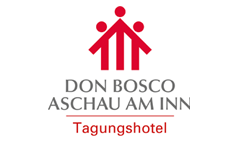 Our Hotel Don Bosco in Aschau-Waldwinkel is about an hour drive from Munich – not far from the wonderful Lake Chiemsee and the Inn Valley, all parts of scenic South Germany. Here is how you find us, your route planner.